Have you ever wanted to see the Monty Python boys on tour in the United States, doing live stand-up comedy? Well, that’s not happening. 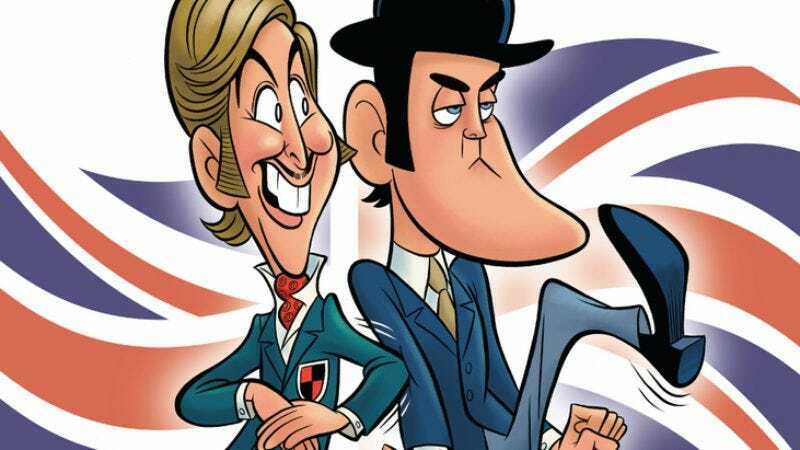 However, John Cleese and Eric Idle will be going on tour in the U.S. (mostly in Florida), performing what the official tour website refers to as “sit-down comedy, blending scripted and improvised bits with storytelling, musical numbers, exclusive footage, aquatic juggling, and an extended audience Q&A.” The act will be titled “Together Again At Last…For The Very First Time,” and aside from that being a dry, Monty Python-style gag, it also highlights the idea that Idle and Cleese want the audience to feel like they’re seeing the show “for the very first time,” no matter how many times they’ve actually seen it.